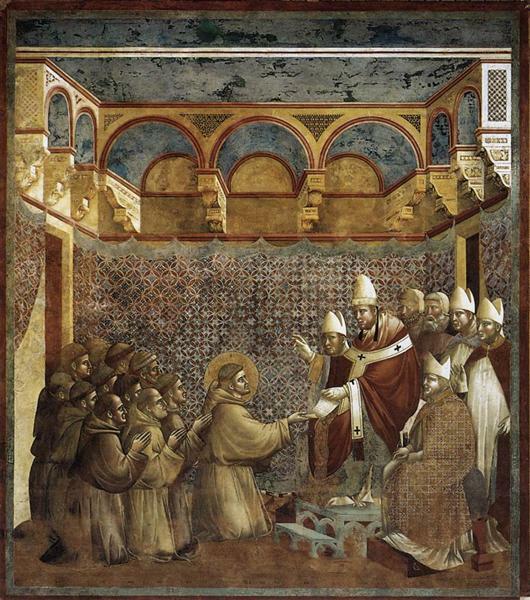 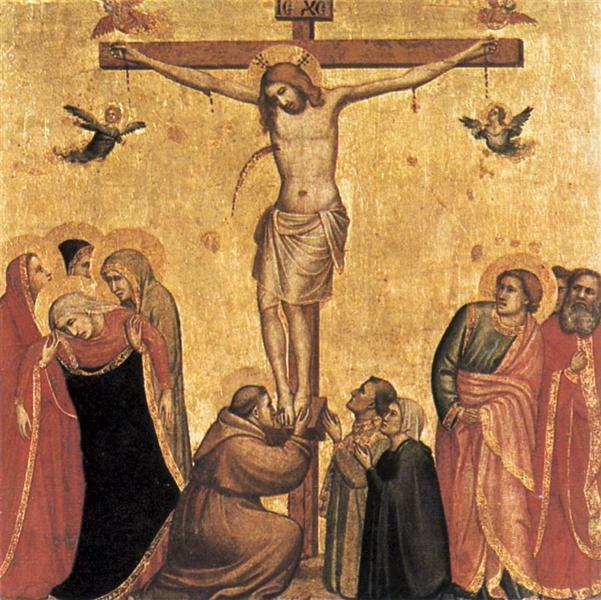 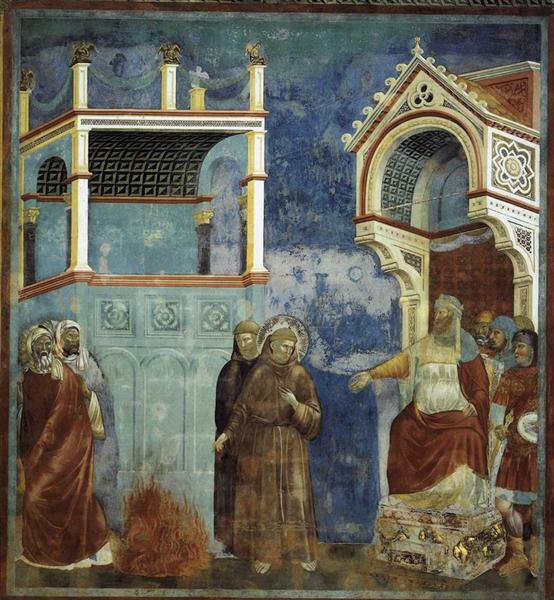 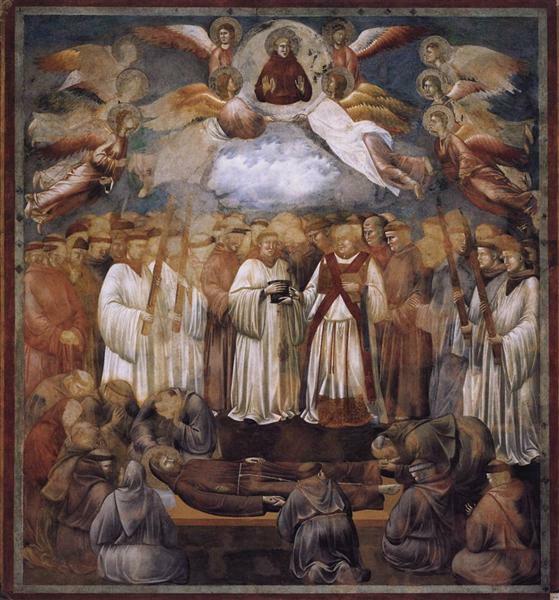 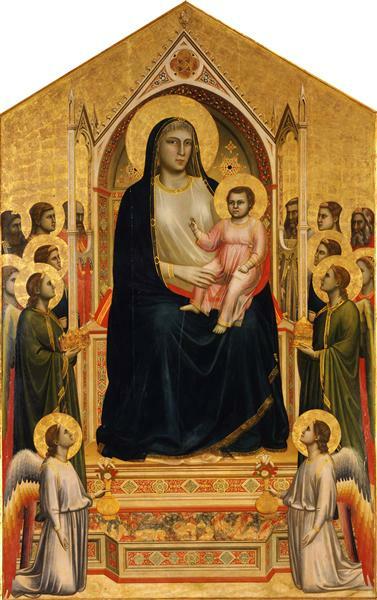 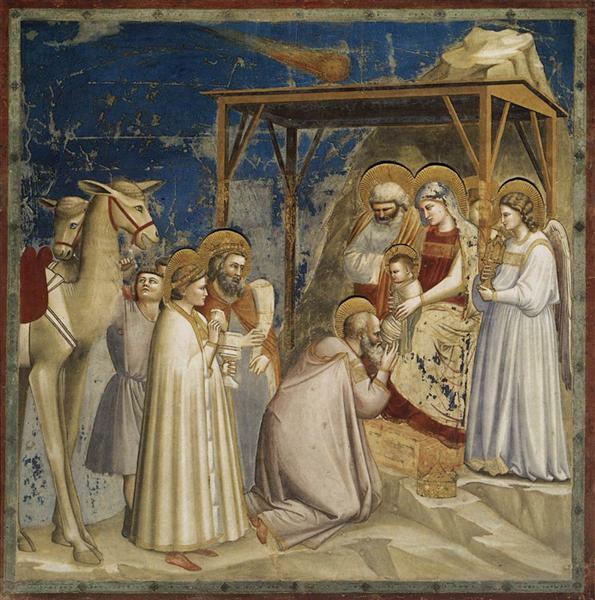 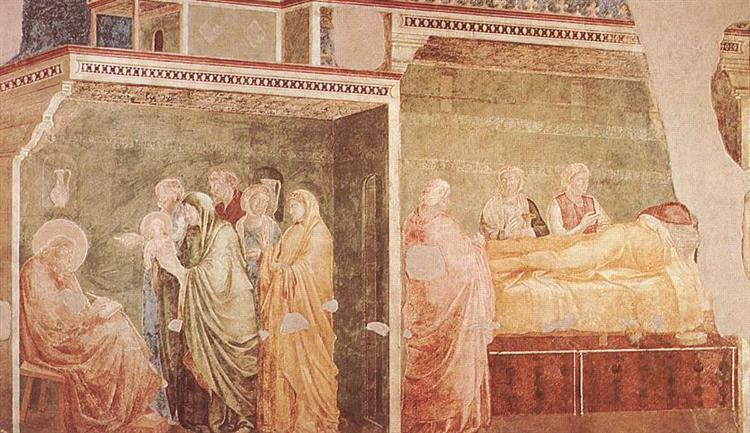 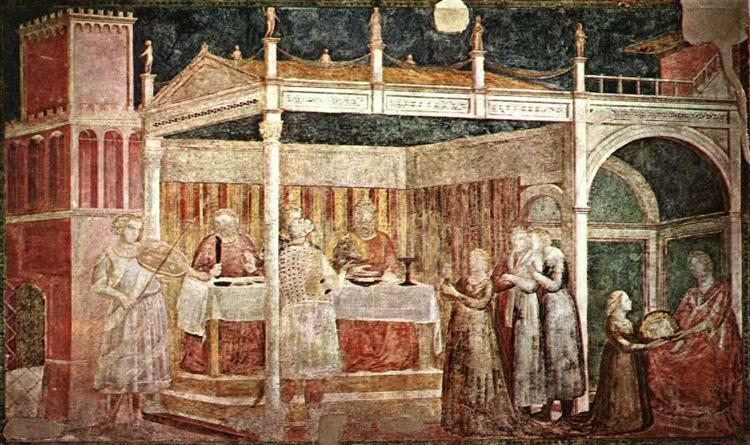 This fresco beautifully exemplifies Giotto’s break with Byzantine techniques. 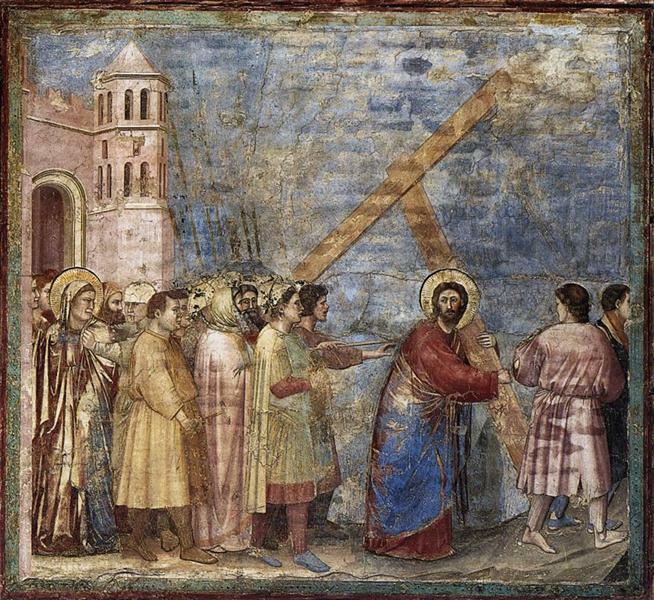 He creates a highly emotional story with the combination of elements of traditional Byzantine paintings, such as the dimensional layout and iconography, with his stylized faces showing an emotional response to the death of Christ. 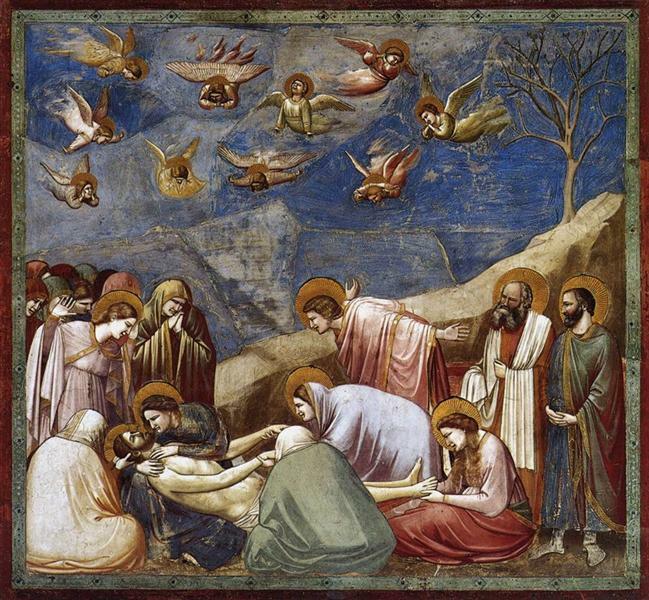 The result pulls the viewer into the scene by inviting them to witness the pain and anguish of the Lamentation. 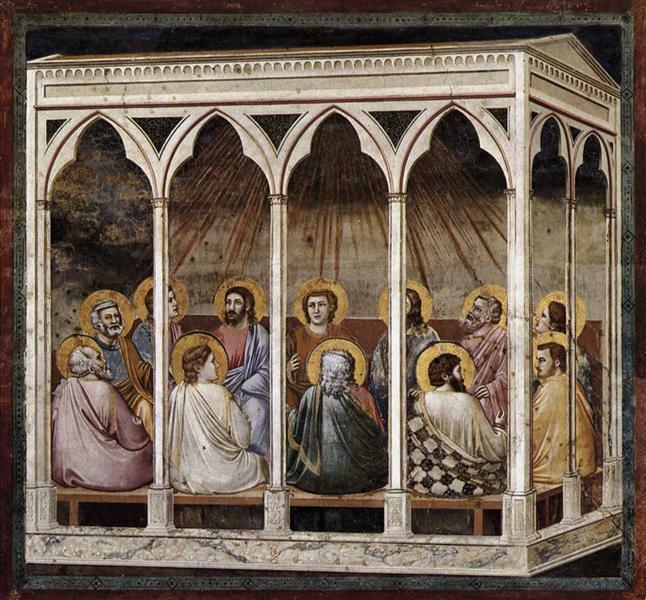 You can almost hear the sobs of the women and the shrieks from the angels above. 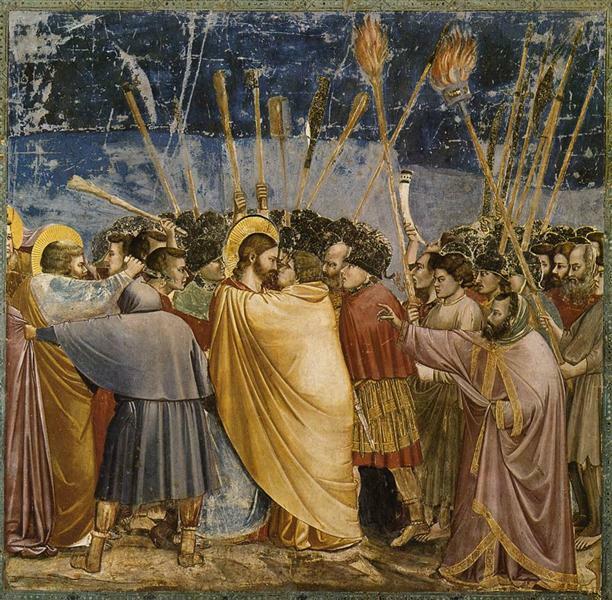 This realistic depiction of emotion on human faces set him apart from other artists of his day, turning Christ and his followers into real human beings with real emotion.